Activity Professionals know first-hand just how much fun can be had in care homes and how vital their role is in keeping the residents in their care actively engaged. Laughing together as a community is what will bring the brightest smiles to your activity. 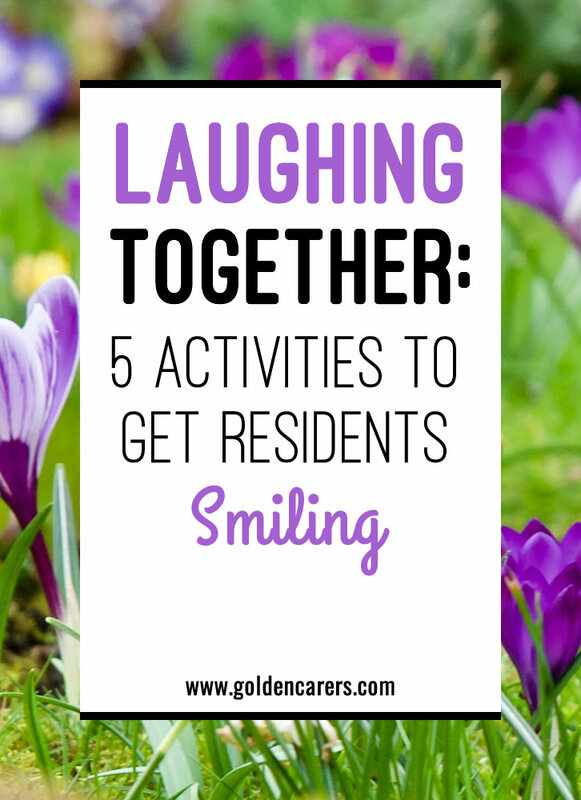 Here are 5 activities that encourage laughter and active participation of the whole community! We sang the Laughing Policeman at our dementia cafe last week, everyone loved it and some were crying with laughter at the end of the song. We will definitely be singing it again. I love this site, as an enthusiastic volunteer running a dementia cafe I need all the help I can get. Thank you from London. I love your enthusiasm Charlene! Thanks so much for your lovely feedback. All the best with your new position! These ideas are wonderful! I'll be using a few of them at our "Laughter is the Best Medicine" program next month! Hi Nori, I love the idea of a "Laughter is the Best Medicine" program (I'm smiling already). Thank you for sharing the riddle board idea, such a great way to get everyone involved in the fun!! there will be a fabulous laughing circle going on this morning:) thanks for all the tips! Hi Pam, thank you for your note. I'm so excited to hear you will be holding a laughing circle! I'd love to hear how it goes. I'd love to try this activity too, even the Comedy show would be great.